National Review’s Rich Lowry appeared this morning on MSNBC’s Morning Joe with a prescription for what ails the Republican Party that was right on the mark. Lowry, who has written a new book Lincoln Unbound, argues that the GOP must become the Party of Lincoln once again and that means the party of opportunity and upward mobility. Lincoln came out of the farm communities of the frontier to be one of his state’s top lawyers and then our Sixteenth President. Lowry tells us that Lincoln was heavily invested in the idea of improving the nation’s transportation infrastructure and its emerging technologies and that his opposition to human slavery was closely connected to this idea of opportunity. What was completely lost on the panel of hosts who interviewed the author as well as the author himself was that this description closely fits current President Barack Obama, the second tall skinny lawyer to occupy the Presidency from Illinois. Lowry tried to connect the Democratic Party of today with nothing but an over focus on equality issues and entitlements that has led to gridlock in Congress. He seemed to fail to grasp as did the panel on the show the significant past two to three years of obstruction by Republicans in Congress. When President Obama offered a package of ten jobs bills to Congress totaling $400 Billion in spending in 2010 that heavily focused on the development of the nation’s infrastructure and education and technology he was rebuffed as Republicans filibustered the bills in the Senate and either refused to bring them up for even debate and voted the rest down on the House floor. The President offered them as a complete package after making a speech to both Houses of Congress to “pass this legislation now” as a refrain. The President offered them as single bills and they were all rejected as before. The President pushed for these measures yet again in his 2013 State of the Union message and Congressional Republicans have refused to even address them. It would seem that the party of opportunity, using development of transportation infrastructure, education spending, and technology is already the Democratic Party. Lowry’s fine argument for what the GOP should be ignored the fact the Democrats are already focused on this as well as President Obama. 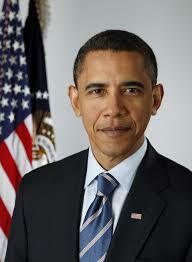 Barack Obama’s shining star is Lincoln. Lincoln portraits adorn his small study adjoining the oval office. He began his 2008 Presidential campaign in Springfield, Illinois on the same spot where Lincoln had begun his. Like Lincoln, Obama often angers the more radical wing of his party by adopting centrist policies and moving slowly on measures that are popular with them. But when he does move, he is positively and stunningly Lincolnian. Obama simply said he favored Gay Rights and Gay Marriage in a very prominent national news interview and his administration eliminated don’t ask don’t tell in the military and has refused to defend the Defense of Marriage Act (Doma). Obama has also led on immigration reform where a group of people who are labeled as inferior by his political opponents who suggested they should self-deport themselves and that they were little better than common criminals has called for an immigration bill with a clear path to citizenship for undocumented immigrants. Republicans even now just cannot support the idea of a path to citizenship at all and those few who do want it to be so tortuous that it is all but unrealizable. The Republican Party is not the party that gives equality before the law to racial minorities. 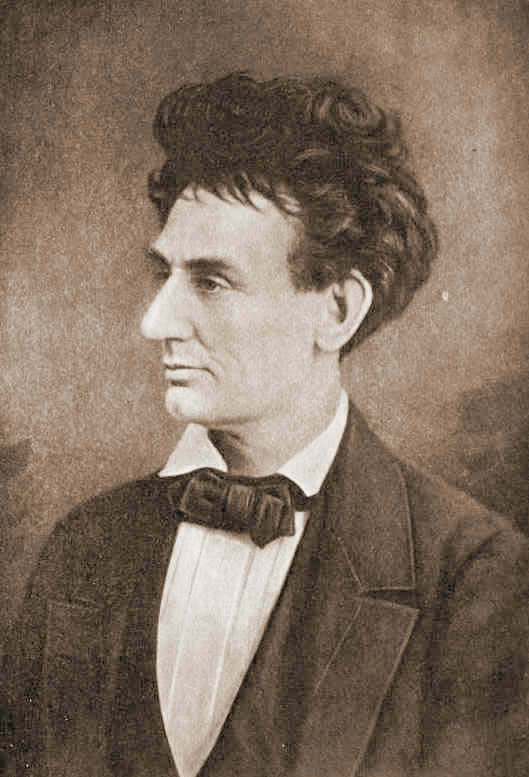 Lincoln’s Republican Party did and it was central to its mission during the late 1850’s and as late as the 1890’s, and especially during Reconstruction via the Fourteenth and Fifteenth Amendments. Radical Republicans were most definitely obsessed with equality issues that Lowry detests. Then, the Democrats were most definitely the “white man’s” party. Now those positions are entirely reversed. Lincoln was perhaps the most reviled president prior to his assassination as the Civil War that preserved the Union and freed the slaves was coming to a successful end. Lincoln’s death on Good Friday in a Christian nation was not lost on the public who viewed it as a republican sacrifice for the American democratic experiment equal to the religious sacrifice of Christ spiritually on that day in the Christian church year. We can only hope that President Obama who has been so reviled and attacked by the opposing political party as Lincoln was by Copperheads and Peace Democrats will not suffer the same fate as the Sixteenth President. There is unfortunately no shortage of people who would be happy for history to repeat itself. The entire South was most definitely hoping for Lincoln’s removal from power in 1864 in his re-election bid and were incensed and very let down when he won just as Republicans have been since November 2012 with Obama. Obama and Lincoln display a congruent governing style, experience while in office, and so many similar interests for the nation and its further development and success along with a smiilar body type. We have two wonderful tall skinny lawyers from Illinois to celebrate today and Republicans have veered away from those principles that made their party great at its founding in Rippon, Wisconsin in 1854 and with its proud and internationally renowned standard bearer. Obama is the far better Republican than any the party currently has in office or seeking office or even advising the party or contributing to it with money and influence. The Democrats obsession with equality is no more terrible than the Radical Republicans obsession with offering greater protection to the Freedmen at the close of the Civil War and bringing them to full citizenship and voting rights during Reconstruction. You just don’t see Republicans of our own day carrying the torch for civil rights and equality before the law of people who are NOT white, male, heterosexual, zealously evangelical Christians in white churches,and wealthy. It is a travesty when Republicans defend their inability to do this and to reach out to minorities and women and gay people by saying, “well we are the Party of Lincoln you know.” No, most definitely they are not. This entry was posted in Essays, National Affairs, Race and tagged congressional republicans, human slavery, rich lowry. Bookmark the permalink.